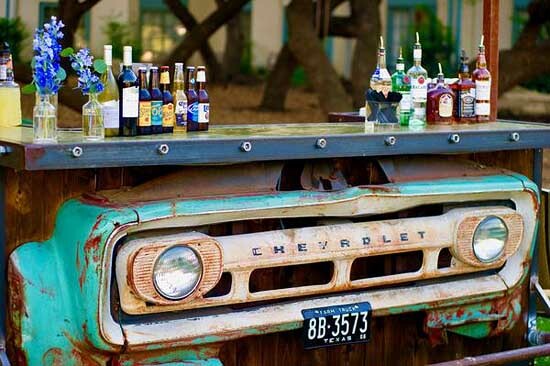 Pull up and have a drink at our one-of-a-kind vintage car bars. 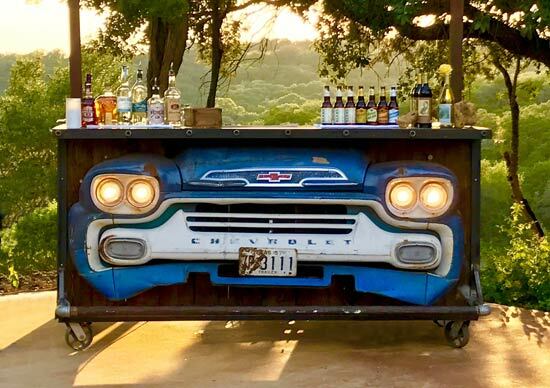 These bars were made using old-school truck fronts found at an antique swap. The Goen South team gave these old truck fronts new life, and our car bars are the perfect addition to a Texas-themed event! They add a cool, rustic touch to more upscale decor, and they’re the perfect combination of form and function. 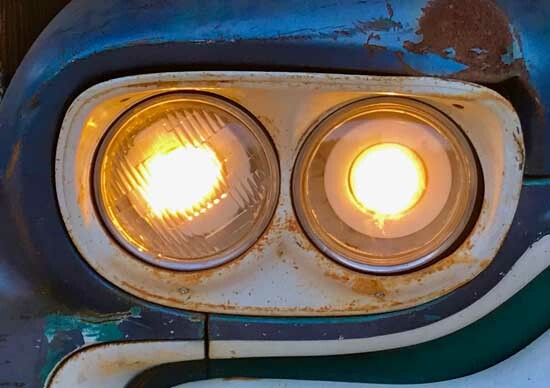 Plus, the headlights work, too!